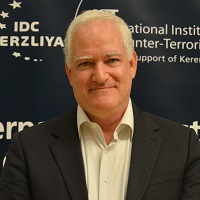 DR. BOAZ GANOR is Deputy Dean of the Lauder School of Government and Diplomacy at the Interdisciplinary Center (IDC) Herzliya in Israel. He has written and lectured widely on counterterrorism. In my travels around the world, I meet with decision makers and counterterrorism practitioners to discuss the nature and the characteristics of global jihadi terrorism. A few months ago I had the privilege of discussing these matters with some Canadian decision-makers and lay leaders. Although most of them were open to the discussion and acknowledged the international problem of terrorism, it seemed that some of them were reluctant to accept that global jihadi terrorism is posing a concrete threat to Canada as well. I found some Canadian decision-makers clinging to different arguments as to why Canada, in their minds, was not a target. In the past I have heard some Australian decision makers say that they believe that the distance of their continent from the rest of the world is one factor that immunizes them from the threat and some Swiss decision-makers believe that having adopted an official policy of neutrality protects themfrom global terrorism. Most of them realize today that they were wrong. The argument made by Canadian decision-makers was a belief that their liberal immigration policy and liberal and open society exempts Canada from the snare of terrorist attacks. They explained that Islamic radical activists would not want to spit in the well from which they drank and would not attack a country that has offered them hospitality and asylum. These were false calculations. Turning a blind eye to the danger emanating from Islamic radical activists who might infiltrate Canada as immigrants misusing the liberal values of Canadian society and its immigration policies is dangerous. That said, it does not mean that Canada has to change its values and abandon its liberal state of mind, but it must heed the wake-up call for greater awareness of the possibility that some small number of immigrants might take advantage of this policy and use Canadian soil for inciting, radicalizing and enacting violence and terrorism against the infidels — namely Canadians, Americans and even most of the non-radical Muslims in Canada, also regarded as non-believers. The large number of Muslim immigrants to Canada, of which the vast majority are loyal to their new homeland, serves as a great opportunity for intermingling and networking within the immigrant and second-generation communities and thereby becomes a worthy target for incitement by the Islamists trying to brainwashthem. The Islamic radical incitement factory is not a new phenomenon, but recently it hasbecomevery sophisticated and efficient, using the media, Internet, video and audio cassettes, public lectures and preaching in specific mosques. By using this multifaceted approach to incite others, the Islamists are trying to buy the hearts and minds of Muslims in the Arab and Muslim countries and in Western society. In many cases, indoctrination is focused on confused youngsters who are looking for one big trout that will give them an answer to all their questions and frustrations. What is better than a cluster of divine commands that promise a better life on earth or even better one in heaven? This approach builds on the foundations laid by al-Qaeda in recent years. But in fact al-Qaeda has witnessed a transformation of its structure and a change of its policy at least twice since 9/11. Before the U.S.-led international coalition occupied Afghanistan, demolishing al-Qaeda’s autonomy in that country, overturning its supporter, the Taliban regime, destroying all its Afghan training bases and facilities and reducing its manpower by more then 50 per cent, al-Qaeda was a hierarchal terrorist organization with the ability to make concrete decisions, plans and preparations, and to execute terrorist attacks. The 9/11 attacks were an outcome of this hierarchal process. After the campaign in Afghanistan and al-Qaeda’s subsequent losses, including the inability of its leaders to control their activists the way they used to, al-Qaeda experienced an organizational change whereby it took on an “amoeboid” structure. Since 2002, al-Qaeda relied on many other Islamic radical terrorist organizations and groups as proxies. Al-Qaeda was at times the initiator, planer, andsponsor of attacks which other Islamic radical groups ultimately executed. In the recent years al-Qaeda has experienced another transformation. In some cases these newly inspired activists are being recruited via the Internet and then being sent to training camps in Muslim countries such as Pakistan, Lebanon and Afghanistan. In Western countries, the ultimate target audience for this type of “inspiration” is second-generation immigrants. These youngsters who were born in the “new” country to which their parents had emigrated often have an unrealistic image of their parents’ homelands. These youngsters, who in many cases have been educated in these western countries and seem to be assimilated there, actually carry frustrations with and feelings of alienation from their countries of birth. They believe that they suffer from inequality and an inability to fulfill their aspirations due to discrimination. The recent arrests in the Toronto area seem to fit this new trend of the global jihadi terrorism phenomenon. It is still too early to know precisely what the suspects intended to do and how far they were from materializing their plots. However, they are alleged to have gathered a massive and potent quantity of ingredients for explosives that could have been used for a series of lethal attacks in Canada. In any case, the recent arrests should serve as a wakeup call to Canadian politicians and to the public at large who have just recently debated whether or not to extend and maintain new laws and counter-terrorism regulations giving the necessary privileges to Canadian security services for detecting, exposing and preventing dangerousterrorism plots. Nonetheless, efficient domestic counter-terrorism policy is not enough these days. Western countries, Third World countries and Muslim countries need to create an international network in order to win the war that was imposed on us by the global jihadists. We should acknowledge the fact that it takes a network to beat a network. 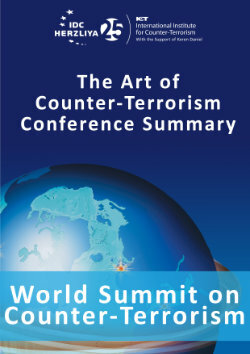 Without real international co-operation in counter-terrorism the civilized world would not prevail. The views expressed here are those of the author, and may not necessarily reflect those of the Institute for Counter-Terrorism.